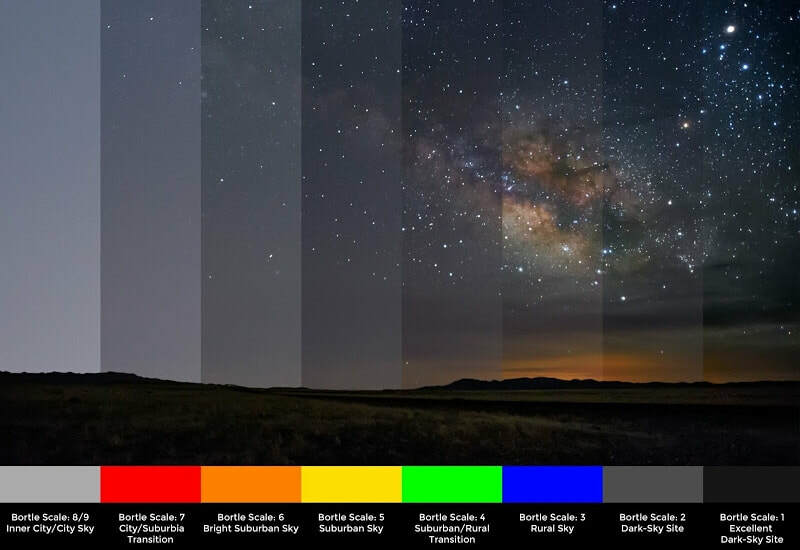 The Bortle Scale of light pollution & night sky effects. Light Pollution has eliminated the view of the Milky Way for over 80% ​of the United States population. 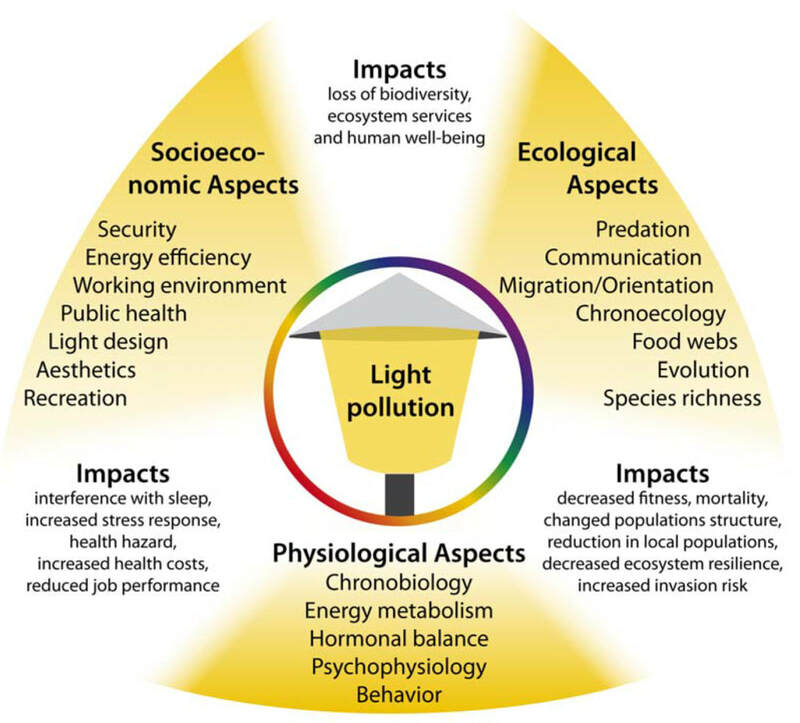 The potential negative effects on human health from light pollution are caused by suppression of the hormone Melatonin which helps regulate our internal clock -- the Circadian Rhythm. 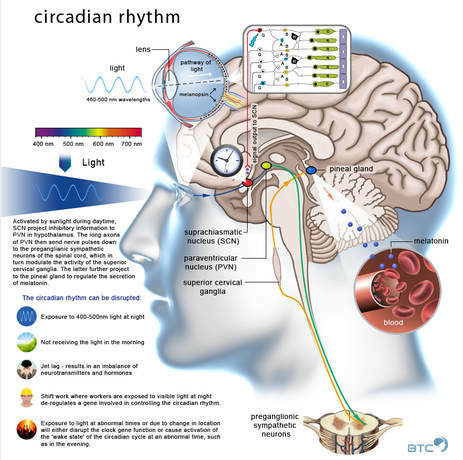 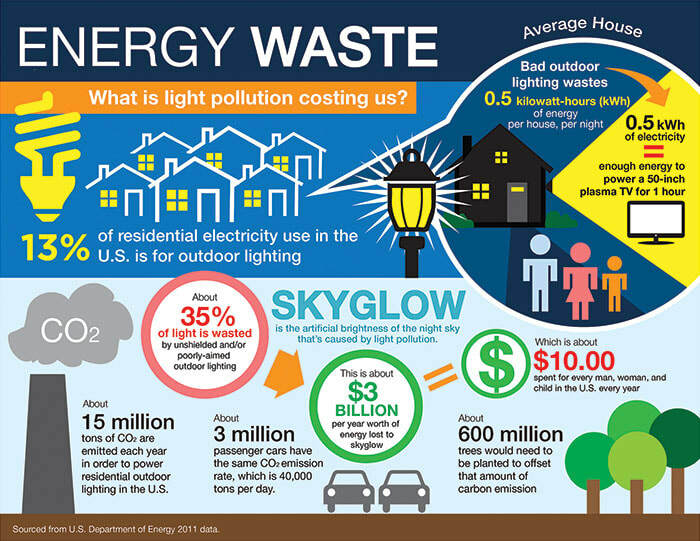 The Circadian Rhythm is particularly affected by blue wavelength lighting, which is often found in outdoor lighting such as LED street lighting.​​ Even low intensity blue rich lighting can have the same effect as high intensity white lighting in affecting the circadian rhythm. 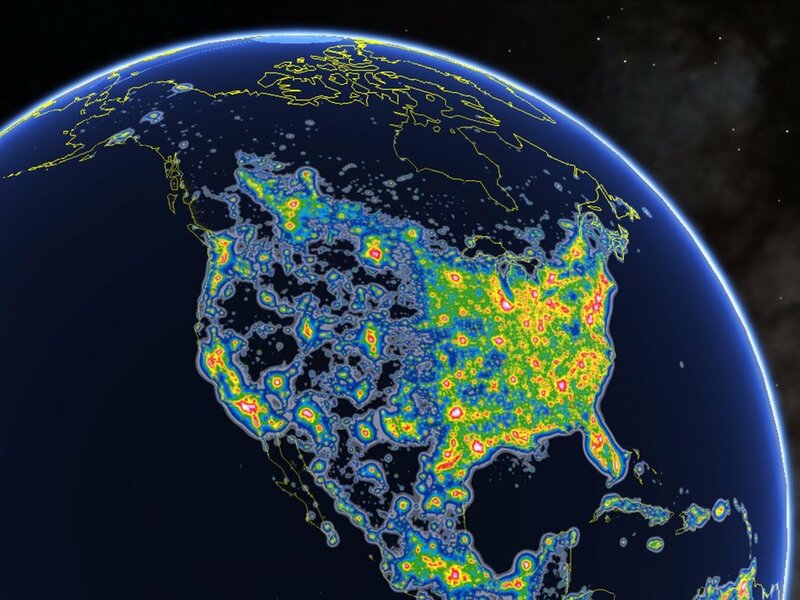 The ​American Medical Association recently issued concerns for human health effects because of this widespread lighting with high blue content. 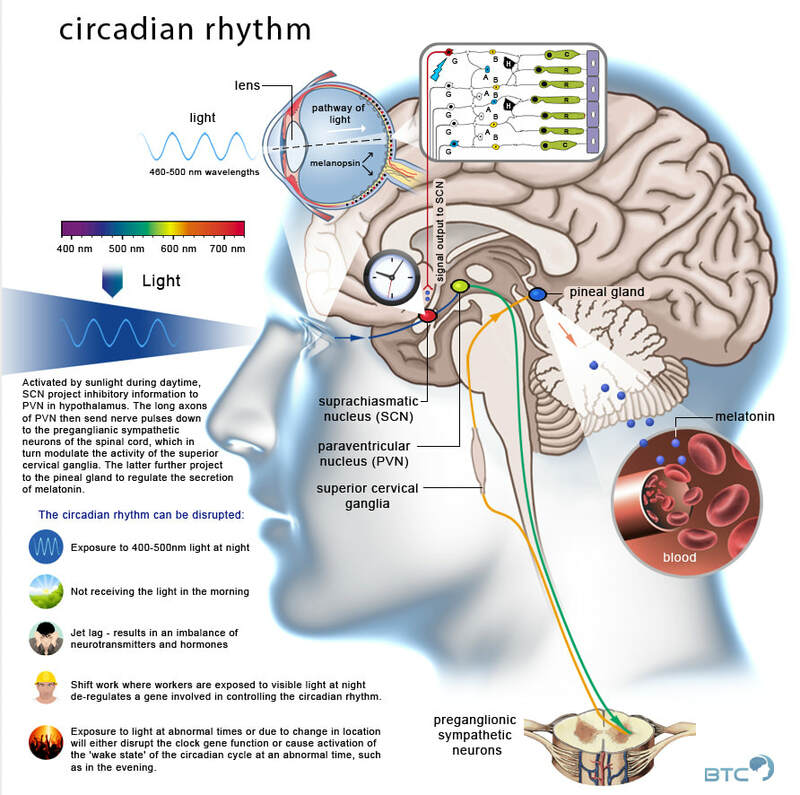 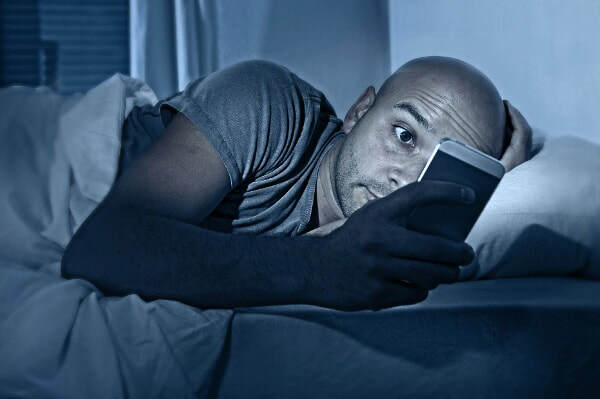 Disruption of circadian rhythms can lead to sleep disorders, depression, reproductive disorders, and increases in metabolic conditions such as obesity and diabetes, and studies are now showing a connection between suppression of Melatonin and increased rates of breast and prostate cancer. 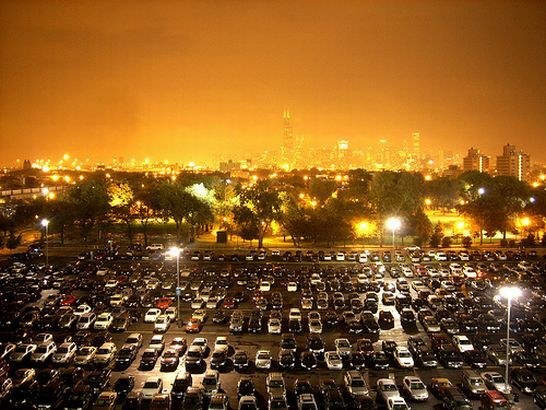 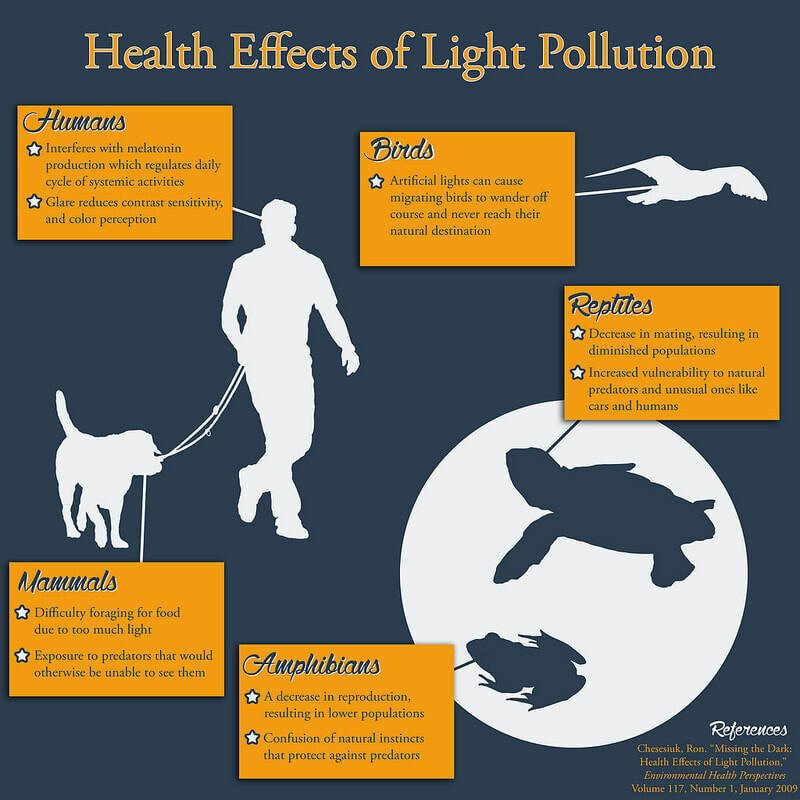 Artificial lighting at night has wide-ranging detrimental effects on many other species as well. 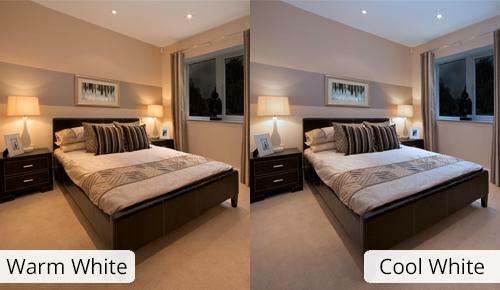 Because of the color temperature issue, the concept of light pollution has now entered our homes. 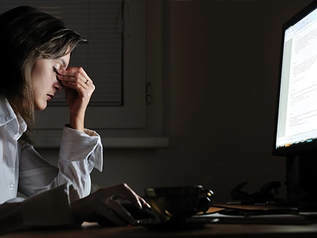 With the increased use of computers and personal electronics - which give off a great deal of blue light - the negative health consequences have been getting increasing attention. 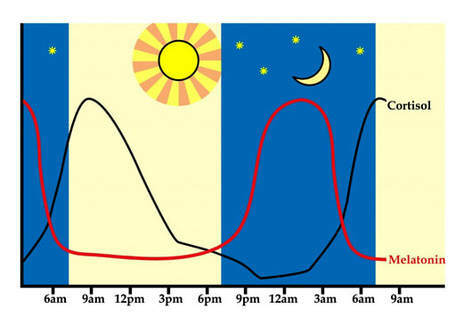 The need to use warm light at night has also now found its way into your computer and cell phone displays. 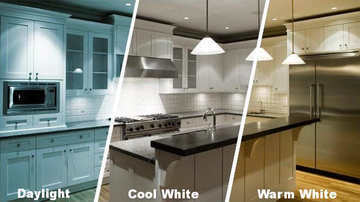 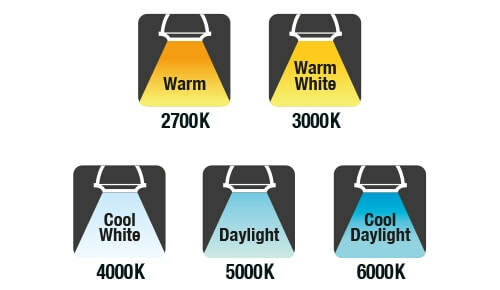 ​Besides adjusting imaging displays, the best way to "fight the blues" is to be sure to check the color temperature specification of your light fixtures, and preferably use only 3000K or less - a standard incandescent bulb of yesteryear had a color temperature of 2700 K. Besides, it feels right at night.